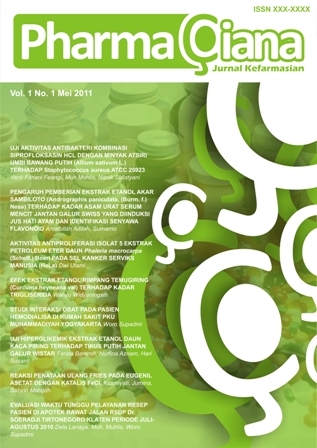 PSIKOPEDAGOGIA Jurnal Bimbingan dan Konseling (ISSN: 2301-6167 (print), ISSN: 2528-7206 (online) published articles the results of studies and research in the field of guidance and counseling, psychological counseling, personal guidance, academic guidance, social guidance, career counseling, family counseling, spiritual counseling, and all aspects related to guidance and counseling. The journal is published two (2) times per year. The Journal invites original research articles and not simultaneously submitted to another journal or conference. This journal is published by Universitas Ahmad Dahlan in collaboration with Association of Guidance and Counseling Study Program APSBKPTM, Indonesia.